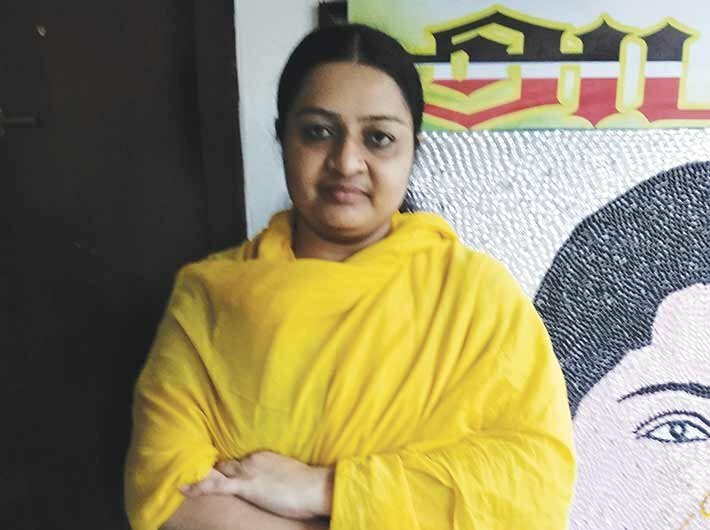 For someone who was not allowed to meet her ailing aunt barely two months back to now being seen as a contender for late chief minister J Jayalalithaa’s legacy, it has been a dramatic rise for Deepa Jayakumar in Tamil Nadu’s fertile political landscape. In the midst of the power struggle that unfolded in Tamil Nadu following Jayalalithaa’s death on December 5, Deepa, 42-year-old daughter of J Jayalalithaa’s brother, has announced that she is ready for her political debut. Deepa, who bears a striking resemblance to her aunt, is now one of the contenders for the political legacy of her actor-turned-politician aunt – along with Jayalalithaa’s aide Sasikala Natarajan as well as her trusted political lieutenant O Panneerselvam. Deepa, who has a degree in journalism from a London university, is drawing crowds at her ‘Sandhya Illam’ home in Chennai’s congested T Nagar locality. Posters and banners showing Deepa with Jayalalithaa are strewn around the place; vendors in the locality are selling her pocket-size laminated pictures. Dressed in a salvar-kameez, Deepa is surrounded by a group of people – her friends and newfound supporters – who are engrossed in a lively discussion on Tamil Nadu’s fast-changing polital scene. A huge laminated picture of J Jayalalithaa is placed next to that of AIADMK founder MG Ramachandran in the drawing room. Deepa walks to the spacious veranda of her house. In a low but firm voice she says that she is ready to serve the people of Tamil Nadu. She claims people’s support and also of the AIADMK party cadre. Deepa is expected to make an announcement on February 24, the birth anniversary of her aunt. Most people believe she would make her debut and float a political outfit that day. Deepa made headlines in December when she was not allowed to meet her aunt at the Apollo hospital. She tells Governance Now that her lack of political experience does not matter since people are imposing their confidence in her, they will also make her victorious. “One has to wait and watch to see my abilities,” she says with a wry smile. A confident Deepa is eager to challenge Sasikala. “It will be a sad day for democracy if Sasikala becomes the chief minister. A democratically elected leader should be the chief minister,” she says. Before Jayalalithaa’s fatal illness, Deepa was leading a quiet and almost anonymous life with her husband Madhavan. Nobody knows what Madhavan does for a living though some say he is into business. It seems Jayalalithaa had severed her connection with her brother and Deepa’s father Jayakumar and his family a few years ago. Today, Deepa has a different take on it. “In my view, my relationship with my aunt was like that of a mother and a daughter,” she says. When Sasikala become general secretary of the AIADMK after Jayalalithaa’s death, Deepa was the first to protest. Observers say her presence may not have an immediate impact on the state’s politics, but it can be an accentuating factor. If Deepa goes on her own she may gain a little, but if she joins hands with Panneerselvam, who was made to quit the chief minister’s post to make way for Sasikala and has revolted against her, the association may help him. “She has some amount of face value and support,” says Ramanathan Subramanian, a political commentator. Others, like Prof Ramu Manivannan of Madras University, feel Deepa’s emergence is inconsequential. “It is more like a false hero concept,” he says. Not many people know much about Deepa and her husband. They had been living a quiet life in the middle-class neighbourhood of Chennai. Some insiders says that Deepa’s marrying a non-Brahmin had angered her aunt and led to their distancing. A friend of Deepa says there was a time when Sasikala, as in charge of Jayalalithaa’s household, would pay Deepa her monthly allowance on behalf of her aunt. Jayalalithaa’s death, and Sasikala Natrajan’s assertion as her political heir, has triggered a power struggle between her and chief minister Pannerselvam, who has since resigned, allegedly under pressure. The development has plunged Tamil Nadu into a state of crisis. Same is the case with AIADMK, which is facing double whammy of the setback due to the untimely death of its charismatic leader and the ongoing succession battle. The 60-year-old chief minister, who was anointed by Jayalalithaa as a caretaker chief minister as she was hospitalised for long, had resigned only to blame Sasikala for pressurising him to do so. At one stage Sasikala’s rise to the throne looked like a fait accompli. However, within days of tendering his resignation, OPS had revolted and upset Sasikala’s plans. If the size of the crowds at his Greenways road residence is an indicator of public mood, Panneerselvam seems to be a enjoying popular support against Sasikala. Wearing a confident smile, OPS walks to the veranda and shakes hands with his supporters. He assures each person present there that things are shaping up favourably. The general mood in Tamil Nadu is against Sasikala. Even the bureaucrats are not comfortable with the possibility of her becoming the chief minister. “We don’t know her style of working. And her background is another reason for the discomfort,” says a senior bureaucrat, who is apparently referring to Sasikala’s links to ‘Mannargudi mafia’, a euphemism for the clique of Sasikala’s close relatives that had considerable influence during Jayalalithaa’s first term as CM. “OPS was accessible and took quick decisions,” he adds. AIADMK is not new to succession battle. In 1987, after founder MGR’s death, the loyalty of party men was divided between his widow Janaki Ramachandran and protege Jayalalithaa. Back then, Janaki soon gave up her claim to MGR’s legacy. In today’s situation, according to political observer Gnani Sankaran, Sasikala is unlikely to go the Janaki way, for she nurtures political ambition. The longer the governor takes to decide who between OPS or Sasikala should become chief minster, there is higher chance of Sasikala losing the plot. The AIADMK is clearly weakened by the unfolding events and observers see a big possibility of a split. R Mani, a commentator, says that inner dynamics of AIADMK is pushing the state towards polls. It’s clear that the opposition Dravida Munnetra Kazhagam (DMK) stands to gain from the rift in the AIADMK and a political windfall for DMK’s working president MK Stalin. The Chennai-based digital news startup Ippothu.com, in a survey carried out 45 days back, found that the acceptance level for Stalin is higher than that of Sasikala. No wonder the DMK is pressing for early elections. Analysts feel that the BJP will try to make all efforts to make inroads in state politics in the current uncertainty.